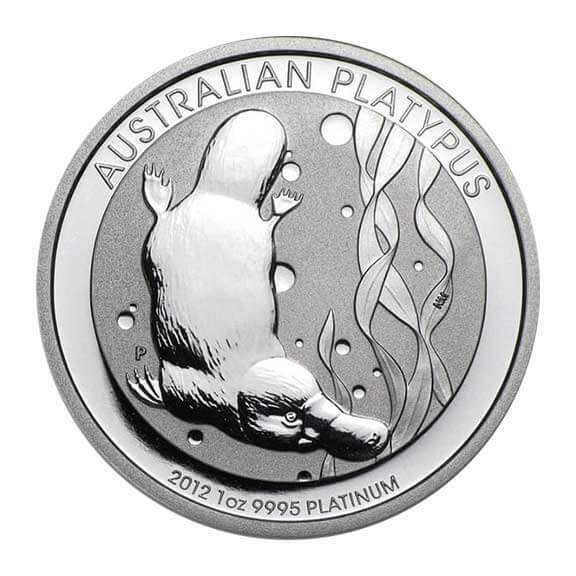 The Australian Platinum Platypus 1 oz promises to be one of the most exciting platinum bullion coins in current production. 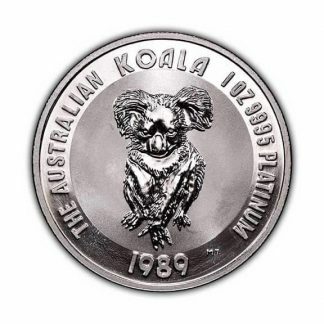 Perth Mint production began in 2011 with 30,000 coins minted so while some claim “limited” my feeling is that these numbers are high enough to make the Australian Platinum Platypus 1 oz a solid bullion contender on the world market. And like other Perth Mint production the Australian Platinum Platypus 1 oz has a legal tender value of $100 Australian dollars. 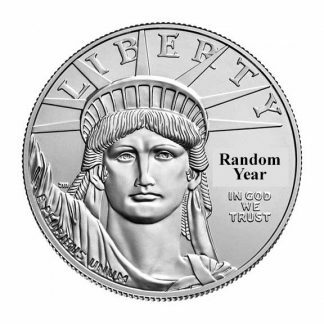 The coin itself trades worldwide for a small premium over its platinum value and the $100 face value makes the coin a special consideration because it is guaranteed by a sovereign country. 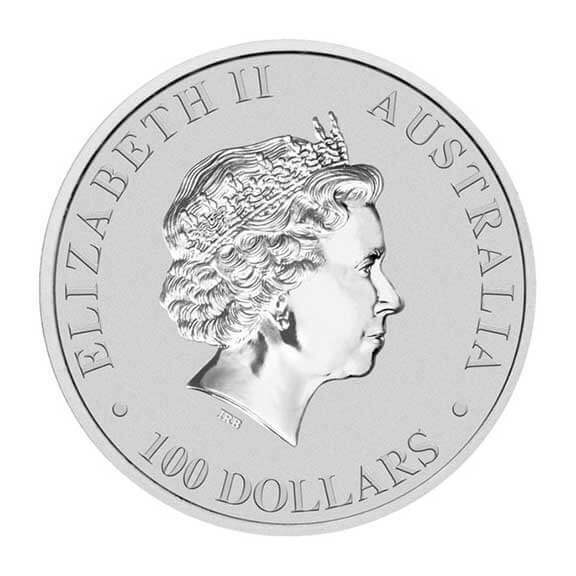 The Australian Platypus features a beautiful matte blast finish with highlights and Queen Elisabeth II on the front. The back features the web-footed platypus swimming underwater and identifies the coin as to weight (1 oz) and purity (9995) and date minted. The Australian Platinum Platypus 1 oz competes with other modern platinum bullion production like the Canadian Platinum Maple Leaf and offers a number of advantages to bullion investors: (1) Because the Australian Platinum Platypus 1 oz is guaranteed as to weight and purity by the Perth Mint it is accepted as a world standard. 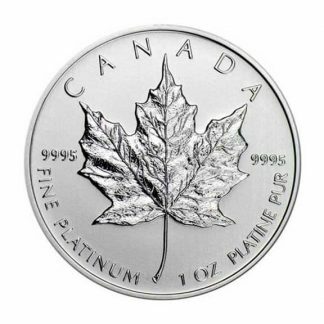 This allows dealers to post daily buy and sell prices on the beautiful 1 oz coins which follow the world price of platinum. (2) The Australian Platinum Platypus 1 oz trades for a small premium over its weight value and its legal tender status is a plus because it is guaranteed by a sovereign country. (3) Because the Perth Mint produced a significant number of these bullion coins the premium over spot remains low and attractive to those who only want a bullion investment. (4) The Australian Platinum Platypus 1 oz is a pure platinum coin and so allows investors to diversify their precious metals holdings and figure value easily. (5) The Australian Platinum Platypus 1 oz comes in a hard plastic snap holder which protects the coin from scratching and makes storage easy. (6) Platinum bullion investment today is growing because there are no Central Bank Reserves of platinum and it has many industrial uses. Major mine production of platinum comes from South Africa and Russia and according to Johnson Matthey mine output runs into deficit on a regular basis. There is no reporting requirement (Federal Form 1099B) the Australian Platinum Platypus 1 oz.